Sony’s Alpha DSLR-A230 is one the company’s latest entry-level DSLRs. Announced in May 2009, it’s the successor to the Alpha A200, and inherits many features from this earlier model including the same 10.2 Megapixel CCD sensor and built-in image stabilisation which works with any lens you attach. Indeed the internal specification is almost identical. The major changes to the A230 involve a new body shape that’s smaller and lighter than its predecessor and an easier control system designed for DSLR beginners upgrading from a point-and-shoot camera. 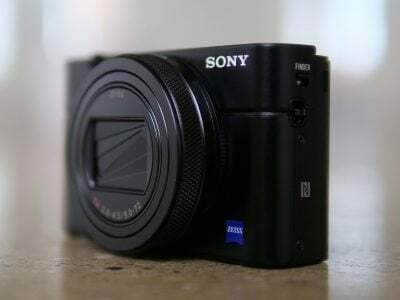 With the new body, Sony’s also taken the opportunity to relocate the memory card door to the left side of the camera, and switch from Compact Flash to SD media, alongside and additional slot for Memory Stick Pro Duo. These card slots are hidden behind a sliding door which also reveals a new HDMI port for connection to High Definition TVs, although at the cost of the standard composite TV output. Sony has also introduced four new lenses with a built-in ‘Smooth Autofocus Motor’ or SAM for short, including two kit models: the DT 18-55mm f3.5-5.6 SAM and DT 55-200mm f4-5.6 SAM. Like its predecessor, the A230 is the cheapest model in a range of three consumer DSLRs which share a great deal in common with each other. As before the main differences are the sensor and the presence of Live View and the tilting screen, although the three models also have a slightly different textured finish. The cheapest A230 model (reviewed here and replacing the A200), features 10.2 Megapixels and a fixed 2.7in / 230k screen without Live View. The A330 (replacing the A300) employs the same 10.2 Megapixel sensor, but adds Live View and mounts the screen on a vertically-tilting platform for greater compositional flexibility. Then the A380 (replacing the A350) completes the line-up by taking the A330 with its Live View and tilting screen, but switching its 10.2 Megapixel sensor for one with 14.2 Megapixels. By doing this, Sony’s effectively created three versions of the same DSLR, allowing you to choose the model which best suits your budget and requirements. This strategy also maximises exposure for the Alpha range in stores. Like all Alpha DSLRs, the main sensor is mounted on an adjustable platform which shifts to counteract camera-shake. You won’t see the effect through the viewfinder – or in Live View as this uses a different sensor – but it will work with any lens you attach. 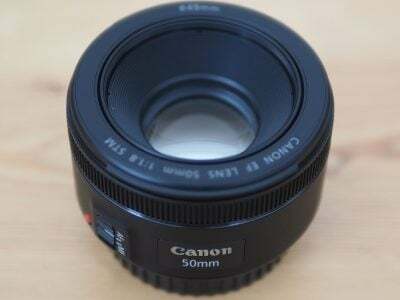 This not only has cost-savings, but means you get to enjoy stabilisation on lenses which most manufacturers wouldn’t fit anti-shake facilities too, like standard 50mm models. Responding to customer feedback, Sony’s revamped the controls and user-interface for a more beginner-friendly experience. The default screen presentation graphically indicates how the aperture can be used to control depth-of-field, and the shutter used to freeze action. Buttons and switches on the previous models have also been either relocated or minimised to avoid potential confusion. Many newcomers to DSLRs are also put-off by larger and heavy bodies, so Sony has additionally shrunk the camera and reduced its weight compared to the previous range. So while the internals of the A230 remain pretty much the same as its predecessor, Sony’s concentrated on making the camera smaller, lighter and much easier to use by DSLR beginners. And while there’s still no movie mode or Live View, the A230 impresses with its built-in stabilisation for the money. In our full review we’ll put the new Alpha A230 through its paces, comparing its features, handling and quality against both its predecessor and today’s key rivals, including the Canon EOS 1000D / Rebel XS, Nikon D3000, Nikon D5000 and Olympus E-620. There’s a growing number of choices in the entry-level DSLR market and over the following pages we’ll ensure you buy the right one for your requirements. Note: since the much of the body, controls, features and accessories are identical to the A330, sections of our design and features pages are taken from our earlier Alpha A330 review. Since their sensors and imaging pipelines are also identical, we’ve repeated the sample images pages from that earlier review, but have included new comparisons against the Canon EOS 1000D / Rebel XS and Nikon D3000 for the results pages here. We tested a final production Alpha A230 running firmware version 1.0. 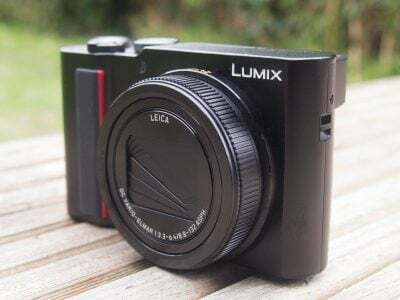 Following our convention of using default factory and best quality JPEG settings to test cameras unless otherwise stated, the A230 was set to L:10 Fine JPEG quality, Auto White Balance, Multi-segment metering and the Standard Creative Style. High ISO NR and the D-Range Optimiser were set to their default On and Standard settings respectively, except from our High ISO Noise results where the latter was disabled as it can introduce noise. SteadyShot stabilisation was enabled for all handheld shots and disabled for tripod-based tests.